The U.N.O. 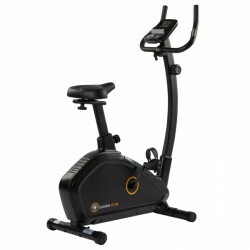 Fitness upright bike HT400 is a model for beginners, who want to do a regular cardio training. The machine is equipped with a magnetic brake system, which can be manually adjusted in eight levels. All important training parameters can be comfortably and clearly monitored on the display. 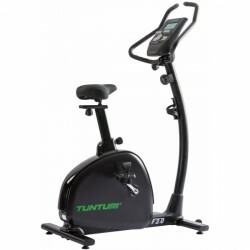 The Tunturi upright bike F20 is a beginner model for the light cardio training at home. The resistance can be manually set in eight levels. The easy to understand console displays clearly all important training data and gives a good overview of the training performance. 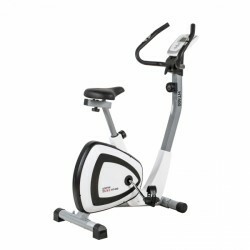 Upright bikes: buy the home sport classic! 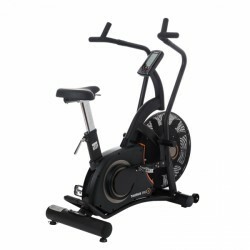 The resistance of upright bikes is produced by an interplay of balance mass and brake system. The balance mass provides a concentric run: the bigger it is, the smoother is the workout on the upright bike. 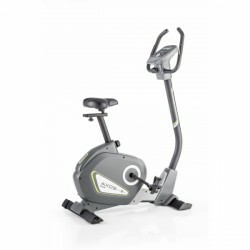 Some home fitness machines have a lighter flywheel - here the smooth concentric run is given by high rotations. 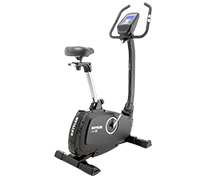 There are exercise bikes with different brake systems — i.e., the shoe brake system known from bikes. Here, extremely high resistances can be produced though the wear is higher. 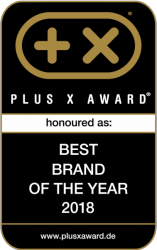 A fine adjusting is possible with the magnetic brake system. Balance mass and brake do not touch each other, the wear is less. 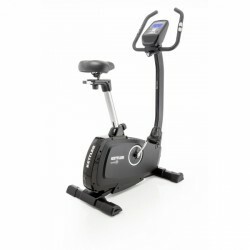 Control/computer and training position are decisive for comfort on upright bikes. More programs stand for more diversion - thus more motivation! It is also important that you have a comfortable sitting position on your upright bike. 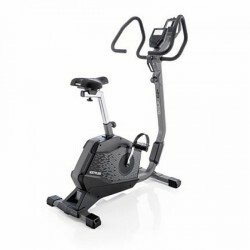 The saddle of your exercise bike should be adjustable in horizontal and vertical position at least - for adjusting the optimal sitting position on the exercise bike and enjoying a joint-gentle training. 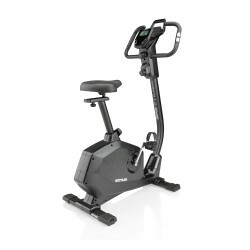 Last but not least: What's the difference between upright bike and exercise bike/ergometer? Fitness equipment for home sport differ in measuring the load. The training performance can be displayed in watt with exercise bikes. Upright bikes only show load levels. You just choose between different degrees of difficulties. 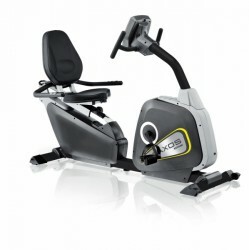 Due to watt control, exercise bikes can also be used for therapy. 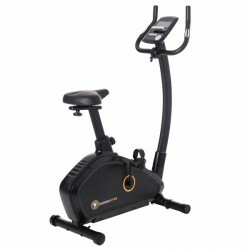 Upright bikes are mainly suitable for quick, daily training at home.